Hello. 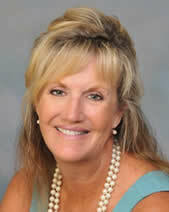 I am Echo Farrell, Designated Broker of CLA Realty, LLC. I have been fortunate enough to be a Realtor – helping buyers find their dream homes in the Scottsdale, Fountain Hills, Paradise Valley, Cave Creek and Phoenix areas – for more than a decade. I can also help you list, market,and find a new owner for your current home. Why do I love my job? Well, when you get to work with nice people and introduce them to what I think is the best place to live anywhere, it is both rewarding and fun. It doesn’t get much better than being there when a family signs the papers on their new home, or seeing the joy on a seller’s face when a sale becomes final. I’ve built a team that loves this stuff as much as I do. We are experienced professionals in all kinds of real estate sales, including short sales and foreclosures. We also specialize in the area’s many luxury homes, and will help you find the best home for your lifestyle and your budget. Give Farrell Fine Homes a call. I can’t wait to help you find your dream home in the Scottsdale and Phoenix area.